Our next Meetup will take place on the 16th September at AQL Salem Chapel. We have two great speakers! 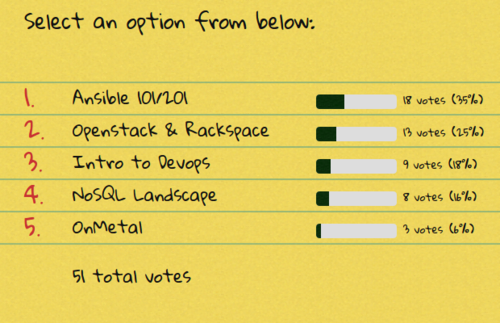 You chose Ansible, big thanks to Sriram for letting us throw it open to a vote so many great topics to choose from. We also have Gemma Cameron and James Jefferies coming to talk about “What’s next for DevOps?” which got a great reaction from Nottingham Tech when they presented it there. The Salem Bar will be in full swing too (but we are looking for a sponsor so let us know if you want to help out).